Regulatory cooperation allows the EU and the US to “build bridges” between their regulatory systems. The Commission has stressed that it “will not change the way each side makes regulation”. But regulatory cooperation consists of a series of procedural duties, which are already changing the way regulation is made in the EU. Last May, the Commission announced its new better lawmaking agenda. Non-legislative procedures are now, as a matter of general rule, subject to impact assessment procedures. Impact assessments are one of the good regulatory practices envisaged in the textual proposal of the Commission on regulatory cooperation. The extension of impact assessments to non-legislative procedures seems to be the Commission’s reply to US claims that EU procedures are not sufficiently transparent, because they lack both rules on notice and comment and regulatory impact assessments. Both are a standard practice in rulemaking by US agencies. Both have been indeed absent from EU non-legislative rulemaking. Until now (when it comes to impact assessments). Whether TTIP will be adopted or not, modifications in the way the EU regulates are already set in motion. In itself, this is not necessarily a bad development. But it is crucial to determine how such changes may impact on the institutional balances and mechanisms of democratic oversight that the current Treaty procedures enshrine. Together with impact assessments, the Commission’s textual proposal on regulatory cooperation under TTIP envisages a binding duty to consult stakeholders prior to the adoption of EU legislative and non-legislative acts. It is noteworthy that both impact assessments and the duty to consult would apply irrespective of transatlantic impacts. So, if TTIP would be approved as now envisaged by the Commission, any interested natural or legal person would have “a reasonable opportunity” to provide input to any piece of planned EU legislation or regulation (delegated or implementing acts) that deals with services or goods (“in areas not excluded from the scope of the TTIP provisions”, sic). This is absolutely unprecedented. Consultations have been conducted in the past but as institutional practices, not in general as formally binding duties, except in the rare instances where sector legislation determined otherwise. The Commission has firmly denied for over a decade the legal enshrinement of duties of consultation. Now, such duties could come via TTIP and apply both to non-legislative and to legislative procedures. And – it is worth stressing – irrespective of their transatlantic impacts. “Stakeholder consultations” can take many different forms and meanings. Will they be a tool for evidence-based policy-making, and thereby give voice to those who may strengthen the evidence basis of regulation? Or will they contribute to opening up legislative and non-legislative decision-making to the input of all, irrespective of their contribution to good regulatory outcomes, coupled with guarantees of equal access and equal treatment? In this latter form, could consultations become a forum for different interested persons to express their preferences, a forum of possible contestation to the policy preferences that impact assessments would support? Whether the balance will tip in one or the other direction will very much depend on the procedural rules by which consultations will be implemented and, crucially, how these rules are monitored. Either way, binding duties of consultation may potentially transform decision-making which is currently shaped – even if in a limited way – along the lines of representative democracy. It is important to determine how and how far. For those favouring a democratic meaning of participation – in tune with the EU Treaty provisions on democracy – the current textual proposal raises sufficient concern, for two main reasons. First, consultations will most likely take place within impact assessments, in view of the purpose of impact assessments. As such, they will very likely be an instrument to ensure better regulatory outcomes – as in EU better lawmaking practices – not only in view of quality and reduction of costs of regulation, but also in view of the objectives of regulatory cooperation under the TTIP. Any possible room for contestation is thus framed and constrained at the outset. Second, a Regulatory Cooperation Body will monitor compliance with the procedural duties of regulatory cooperation. This body is likely to be composed, among others, of senior representatives of the regulators and of the offices responsible on each side of the Atlantic for regulatory coordination (the Secretariat General of the European Commission and the US Office of Information and Regulatory Affairs). These are the offices responsible for impact assessments within the EU and the US, so there is little indication that current practices of consultation in the EU could be transformed in view of the democratic provisions of the Treaty. This Regulatory Body raises even deeper reasons of concern. Which impact may its monitoring competence have in the relative role of the Commission, the Council and the European Parliament in EU legislative and non-legislative procedures? Given its likely members, it may reinforce the role of the Commission at both levels. Is this desirable, and, if so, in which terms? These are some of the questions that lie behind the Commission’s claim that regulatory cooperation will preserve the regulatory autonomy of both the EU and the US. How regulatory cooperation may impact on democratic oversight of regulation and on current institutional balances depends in part on two issues that are currently placeholders in the textual proposal of the Commission: the composition and rules of procedure of the Regulatory Body, which will define its intuitional capacity and, in part its legitimacy, and the interaction of the Regulatory Body with the legislators, which ought to give enough guarantees of accountability and democratic oversight. In the current proposal, there are no guarantees in either respect. Perhaps now that the debate on ISDS may take a new turn, one should start debating these issues and reflect on what regulatory cooperation may mean to the model of democracy that ought to ground EU regulation in view of the democratic provisions in the EU Treaty. This text expands on my notes for the Hearing of the Committee of Legal Affairs of the European Parliament, Brussels, 24 February 2015, available here. 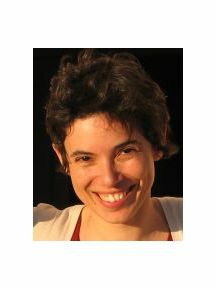 SUGGESTED CITATION Mendes, Joana: Regulatory Cooperation under TTIP: Democracy on this Side of the Bridge, VerfBlog, 2015/9/24, https://verfassungsblog.de/regulatory-cooperation-under-ttip-democracy-on-this-side-of-the-bridge/.